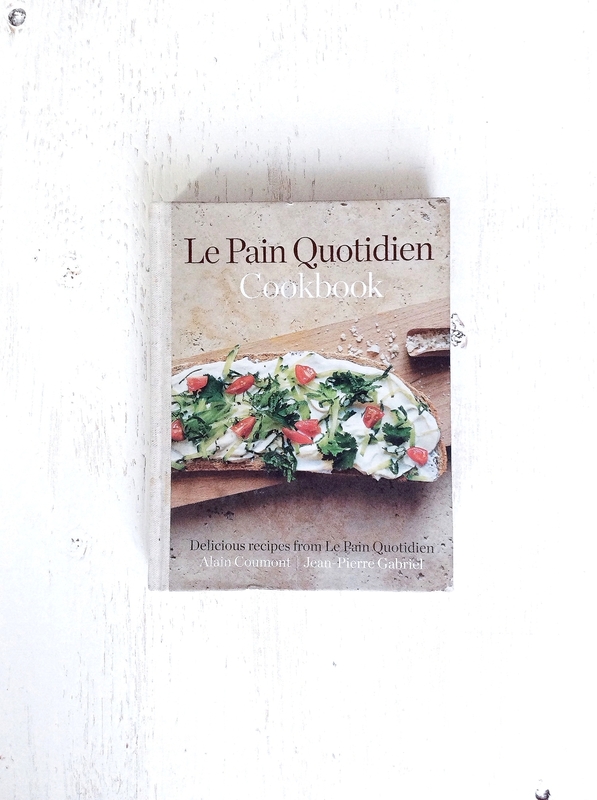 This morning I picked, "Le Pain Quotidien" off the kitchen shelf. A beautiful cookbook and impulse purchase while paying for coffees and croissants at a cash register in New York. Alain Courmont, chef turned baker, incorporates his belgian roots with organic and vegan influences from his time spent in California. I love the fusion of the two and his overall philosophy about bread, "it's much more than mere sustenance; it's a way of life. As our loaves emerge from the ovens, warm and fragrant, friends gather around our communal tables to share in the time-honoured tradition of breaking bread. The hum of the conversation fills the air, jam is passed around the table, and, ever so gracefully, time slows." The page below caught my eye and with most of the ingredients handy, the result was a mixture of fresh peas hummus, radish, tahini and mint on organic, wood-oven, sourdough bread. We substituted poached eggs for the pancetta, and topped with sunflower sprouts, which made for a lovely brunch. Put the peas, tahini, olive oil, salt and pepper into a food processor or use a handheld blender to blend in short bursts of 10-15 seconds, until you have a smooth puree. To serve, spread the hummus on a loaf of fresh bread (I used a sourdough), top with pancetta or substitute poached eggs, thinly sliced radish, and mint. The added sunflower sprouts made for a nice touch, but the dish would be equally lovely without them.